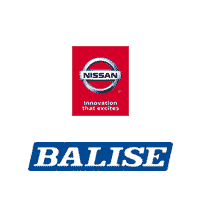 When you buy or lease your car from Balise Nissan, we make available a variety of plans from Fidelity Warranty Services, Inc. Please see below to learn more about how you can protect yourself and your loved ones and choose the vehicle protection plan that is right for your needs. It’s no surprise that most major repairs are needed after the original factory warranty has expired, which means you will have to deal with all the inconvenience, time, energy and expense of those repairs. Depending on the age and mileage of your vehicle, you can purchase up to 120,000 miles of coverage. The Vehicle Protection Plan begins on the purchase date and expires according to the term and mileage selected, whichever occurs first, and may include a deductible depending on the option selected. You can select from a national network of over 6,000 authorized service centers or any licensed repair facility in the U.S. or Canada. * Coverage level availability may be limited based on the age, mileage, make and model of your vehicle. Deductibles may apply. But service may be needed and major mechanical breakdowns could occur even when your car is new, whether you own or lease it. This optional protection plan is designed especially to help protect your new car against the unexpected, with coverage for items that the manufacturer’s warranty may not cover. It’s called the “gap.” It’s the difference between the Amount Owed on your Retail Installment Sales Contract/Lease Agreement and the Actual Cash Value of your vehicle at the time of a Total Loss. The Amount Owed does not include missed payments, payment extensions, deferred payments, accrued interest, late fees, disposition fees, penalty fees, early termination fees or finance charges incurred after the date of loss. Also, if the insurance company valuation used to calculate the Actual Cash Value is less than 90% of the NADA value of your vehicle, the NADA value will be used in determining the “gap” amount waived (which means a smaller amount may be waived). If your car is determined to be a Total Loss, this “gap” could translate into thousands of dollars that you would still owe after the settlement from the auto insurance company. The Plan excludes total loss claims denied by your automobile insurance company. This is an optional waiver product and not a product of insurance. It is not required for you to obtain financing for the purchase or lease of a vehicle. But many of the risks of driving a car – the small dents and dings that happen in parking lots, chipped paint, even worn tires – are your responsibility at lease-end. You either repair them, or you pay the leasing company to perform the repairs. You may lose part of your security deposit, all of it, or maybe even more? Why worry about things that happen to almost any car?